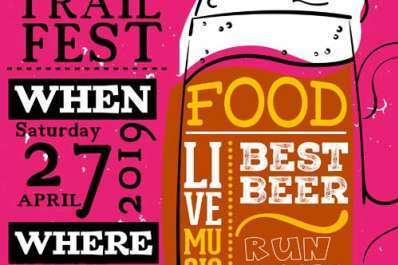 This year the Cumberland Valley Rail-to-Trail Council's 13th annual Race, Run, Ride & Ramble is joining forces with the Shippensburg Historical Society's 3rd annual BrewFest to create the Cumberland Valley TrailFest. All events will be held at the new CVRT Shippensburg Station trailhead and the Shippensburg University triangle lawn located at the corner of Fort and Earl Streets in Shippensburg. The Shippensburg Historical Society (SHS) is proud to present its 3rd BrewFest. The event will include craft brews and spirits from local breweries and distilleries, food trucks, and live music from 11:30 AM to5 PM! Proceeds from BrewFest will benefit the Shippensburg Historical Society. Registration for the Race, Run, Ride, or Ramble gets you entry into the BrewFest and a discounted wristband to enjoy the craft brews and spirits from local breweries and distilleries. 10k Race @ 11:00 AM: NEW DISTANCE, NEW START TIME. The main event of the day is a 10k running race on the Cumberland Valley Rail Trail starting and finishing at the Shippensburg Station. 5k Run @ 11:00 AM: This out and back 5k (3.1 mile) fun run/walk on the Cumberland Valley Rail-Trail will begin and end at the Shippensburg Station. 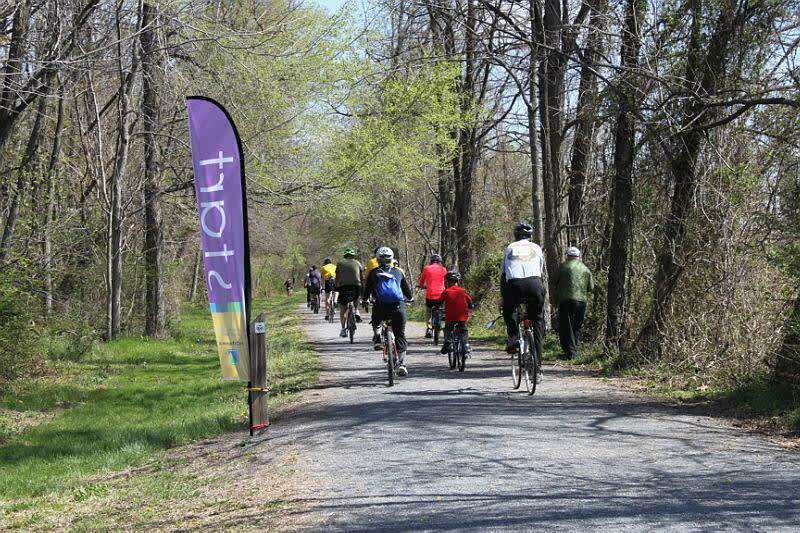 25 Mile Ride @ 10:30 AM: Enjoy a leisurely non-competitive ride along the entire length of the finished Cumberland Valley Rail Trail. 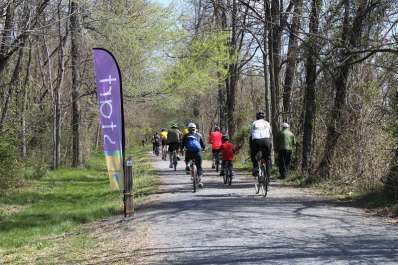 This will be an out and back 25-mile bike ride from the Shippensburg Station past the trailhead in Newville to the trail end at Greenhill Road and back to the Shippensburg Station. Rest stops will be available along the way with a snack in Newville. If you want a slightly shorter ride you can turn around at the Newville trailhead for a 20-mile ride. 10 Mile Ramble (Hike) @ 10:00 AM: The Ramble is your opportunity to hike the trail from the Shippensburg Station trailhead in Newville. Transportation will be provided from Newville back to the Shippensburg Station. 1 Mile Fun Run/Walk @ 10:35 AM: Free for kids 1 to 100. Out and back on starting and finishing at the Shippensburg Station. All participants 12 & under receive a ribbon. 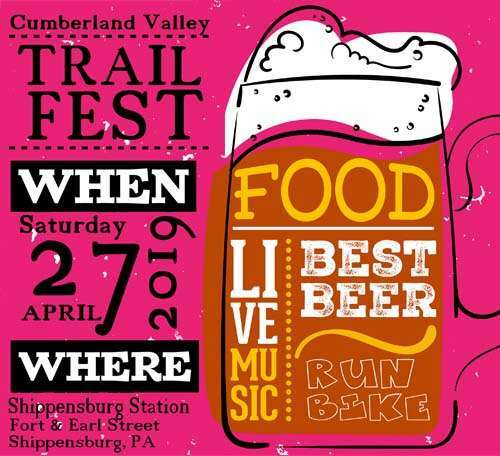 This event is brought to you by the Cumberland Valley Rail-to-Trails Council, a 501(c) (3) non-profit corporation. Proceeds will be used to maintain the existing trail and extend the trail from Shippensburg to Carlisle. The BrewFest is brought to you by the Shippensburg Historical Society. Everyone registered for the Race, Run, Ride, or Ramble by April 15 will receive either a cotton t-shirt or a tech shirt upgrade. Shirts will be available for purchase for the 1 mile and the BrewFest. After April 15 tech shirts will not be available to order. Extra cotton t-shirts will be available and will be given out first come first served until they are gone. Entry to the BrewFest to enjoy the music is free to everyone. Registration for the Race, Run, Ride, or Ramble gets you a discounted BrewFest wristband to enjoy the craft brews and spirits from local breweries and distilleries. Early registration prices with online registration until April 26. Race day registration will be $10 more than online registration. Registration for all events will open at 9 AM at the Shippensburg Station. You must be present to receive your award. No awards will be mailed. The event will be held rain or shine. For more information or to volunteer contact Garret Stahlman - 717.300.1337 or race@cvrtc.org. Click here to register online.